It's a good place to prep astronauts for a callous world. 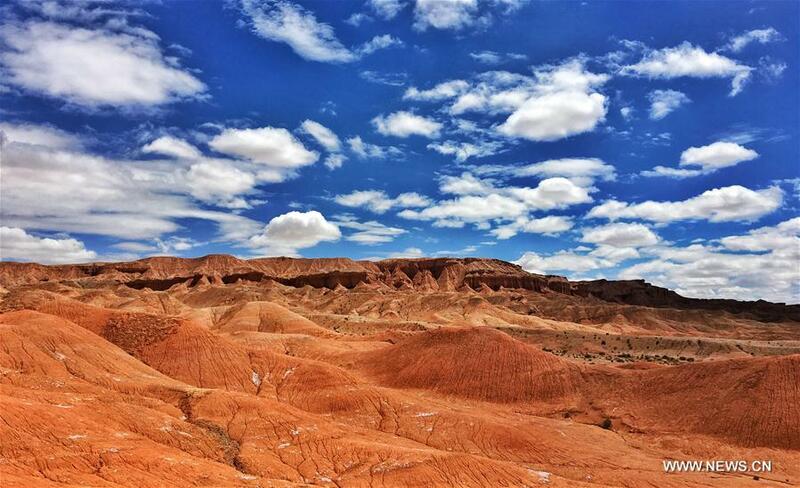 The Chinese government has selected a desert rife with red cliffs as the location for its simulated Mars colony. Here, future astronauts will prepare for survival in a frigid world with world-spanning dust storms. The official press agency of the People’s Republic of China, Xinhua, announced Tuesday that the government will build a base in the high Tibetan Plateau in north-central China. Specifically, the base will be set in the Qaidam basin, a stark, remote land that looks quite Martian. In the image provided by Xinhua (above), the area looks like an extremely arid badlands country, with few plants and no water. The base will include both a “Mars community” and a “Mars campsite.” It’s intended for scientific colonization research, but to also stoke the Chinese public’s interest in their deep-space ambitions. It’s somewhat similar to the NASA Kennedy Space Center’s “Summer of Mars” tour, currently whipping up Martian intrigue along the East coast. But this is a much gnarlier simulation, set in a place that compares to the stark, red planet. The Mars-like hills of the high Tibetan Plateau. The research component of the Chinese Mars base will likely be similar to NASA’s Mars simulation colony, situated some 8,200 feet up on the active Hawaiian volcano, Mauna Loa. At such a high altitude, it is a chilly, barren land, blanketed in lava rock. Called the Hawaii Space Exploration Analog and Simulation, crews of six live in a domed habitat for up to a year. These simulations allow scientists to understand how Martian crews — set in tightly constrained and resource limited environments — hold up both psychologically and physically. 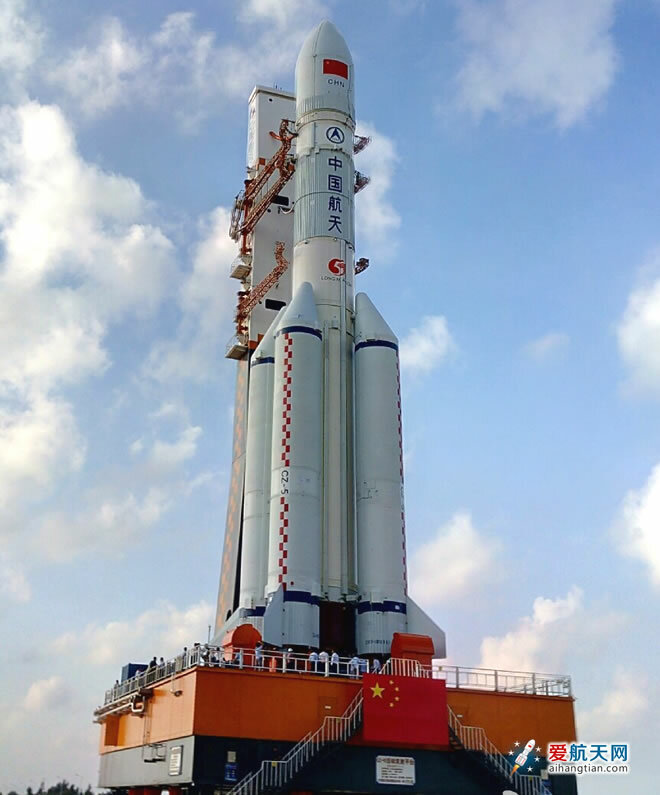 For now, Chinese deep-space ambitions are dependent upon the success of its heavy-lifting Long March 5 rocket, which is currently in testing and production. At 187 feet tall and supplemented by four boosters, it is designed to launch 55,000 pounds into lower Earth orbit and send about 18,000 pounds to the moon. In early July, the rocket failed about six minutes into its flight, for reasons the Chinese government identified as an “anomaly.” Before this launch disappointment, the Long March 5 was scheduled to send two landers to the moon’s surface in November, one of which would return back to Earth with moon rocks. It’s unclear if this rocket setback has derailed China’s 2020 robotic endeavor to Mars. The Chinese rover looks similar to NASA’s roving explorers, with six rugged wheels and a high mounted camera. It will carry a ground penetrating radar to study the soil and look for water and ice. Chinese astronauts, once they’re finished training in high red deserts of the Tibetan Plateau, will need to know where to find reliable sources of ice. They’ll have to dig it up and melt it down if they hope to survive in a land more forbidding that any region on Earth.